Strong Feet are essential. Using the bare foot turns on many parts of us on many levels. Was thinking of the late “Truly Wild American” Charlie McGrath today. Doug Owen, Charlie, and I did a podcast for a while called Doomcast. Episode 35 below was my favorite. The best always go too soon, miss you Charlie. 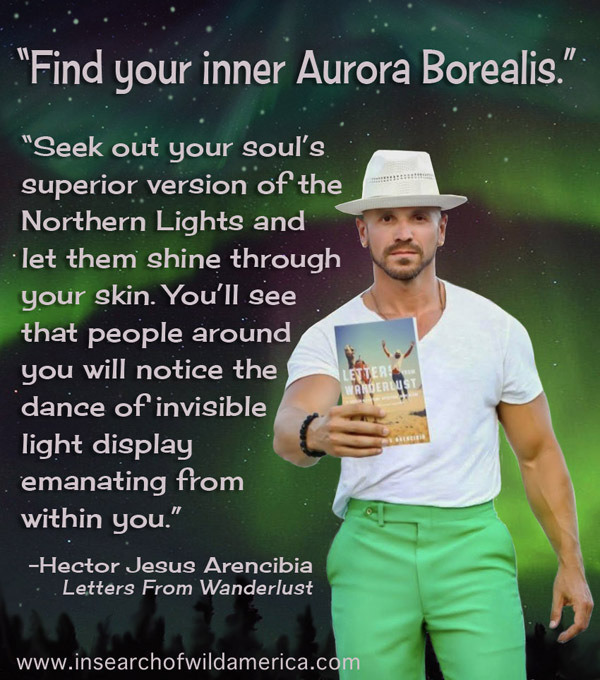 Today we interview Hector Jesus Arencebia, author of the book, Letters from Wanderlust. Hector experienced a profound transformation after years of living the destructive lifestyle as a Miami party boy. He’ll discuss waking up one fateful morning, and suddenly realizing he needed to dramatically change the course of his life. Hector sold off his possessions, including his beloved matador-red Lexus, and purchased a one-way ticket around the world. His first book, Letters from Wanderlust details his courageous and transformative journey as well as his spiritual insights.